Russia will outfit its Smerch and Uragan heavy multiple rocket launchers with specially designed canvas tents to make them invisible to enemy satellites and radar, the Moscow-based newspaper Izvestia wrote. The first eight such tents, equipped with their own systems of ventilation, fire control, power supply and heating, will arrive at a missile brigade of the Eastern Military District stationed in Ussuriisk. 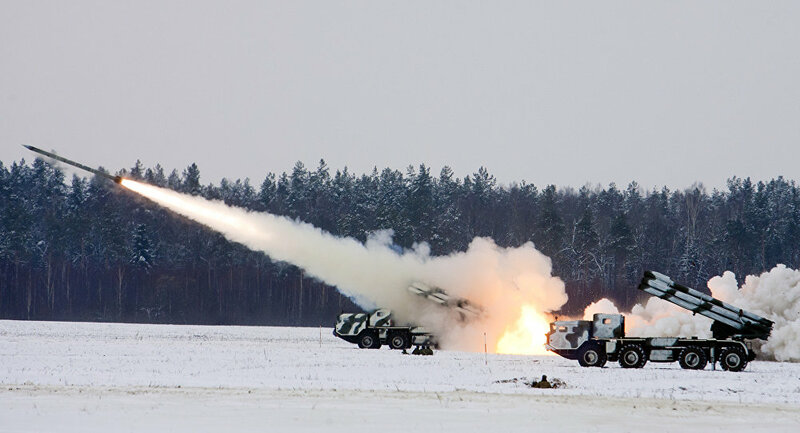 The 338th Brigade is armed with a battery of 18 Uragan multiple rocket launchers. There are 200 220mm Smerch and over a hundred 300mm Uragan long-range rocket launchers currently in service with the Russian Armed Forces. According to Defense Ministry officials interviewed by the newspaper, several more brigades of multiple rocket launchers will be supplied with “invisible tents” already before the end of this year. The tents are metal arcs covered with dazzle-painted canvas, which effectively blocks infrared thermal imaging from drones, reconnaissance planes and satellites. It also withstands heavy downpours, temperatures down to 50 degrees below zero and even Force 6 earthquakes. Each tent is 100 meters long, up to 24 meters wide and 5 meters tall. Despite its huge size (over 2,000 square meters), it takes just a few hours to deploy. Each tent is equipped with an autonomous system of power supply, ventilation and water heating as well as an inbuilt fire extinguisher system. “Until recently, we used to keep our military hardware inside panel boxes or simply outdoors. Tanks and other armored vehicles can easily handle freezing temperatures, rain and snow, but certainly not such sophisticated systems like Smerch and Uragan, which can malfunction of break down altogether,” Viktor Murakhovsky, Editor-in Chief of Arsenal of the Fatherland journal told Izvestia. He added that tanks, APCs and other fighting vehicles kept in the open fall easy prey to enemy intelligence. “Photos made of these uncovered vehicles inform the enemy about the exact number of ready-to-fight military hardware and also about units sent out on a combat mission. Missile systems and long-range multiple launchers like Iskander, Smerch and Uragan are of special interest to enemy intelligence gatherers,” Murakhovsky said. The Smerch mobile rocket-launcher vehicle was developed in the early 1980s and put into service by the Soviet Army in 1987. 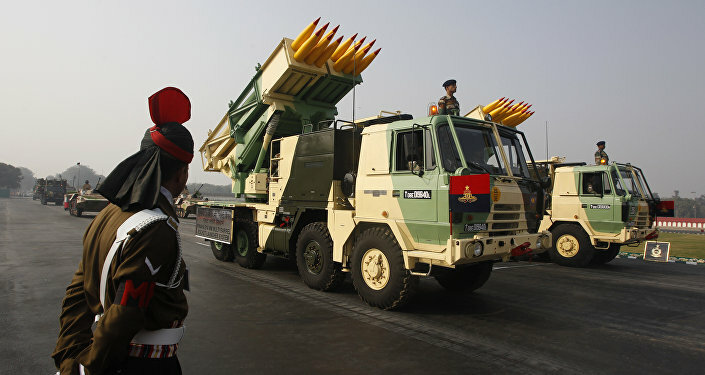 This multiple launch rocket system has 12 tubes for 300-mm rockets; each 7.6-meter-long standard missile weighed about 800 kilograms. It has a firing range of between 20 and 70 kilometers. The system will soon be equipped with advanced guided missiles for better targeting. This will significantly improve the system’s firepower.